In order to obtain the absolute highest standard the owner of the world’s most luxurious cruise ship chose TWIST carpets from Dansk Wilton for its 326 suites. 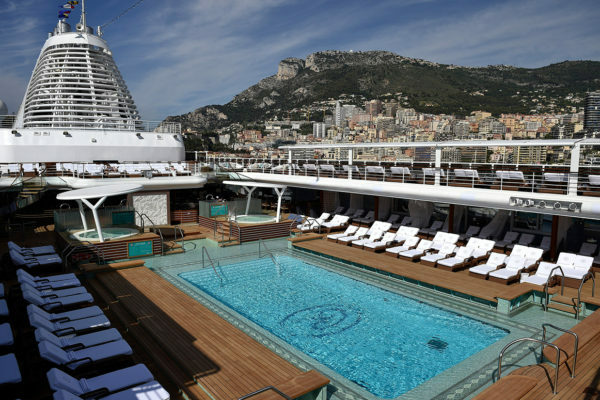 What does it take to build the world’s most luxurious cruise ship ever? Well, to start with US$450-million, good taste and exceptionally high standards – like a $ 150,000 Savoir No. 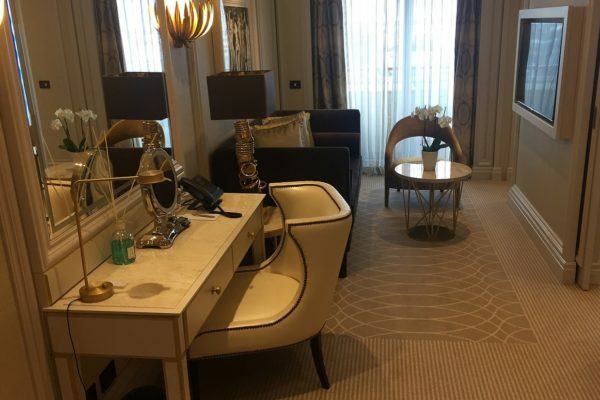 1 bed, 158 large, exquisitely designed crystal chandeliers, 45,876-square feet of marble, 400 specially designed Versace plates and TWIST carpets from Dansk Wilton for 326 suites. 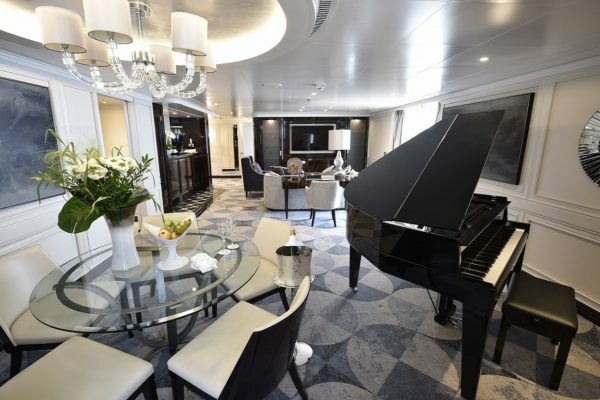 When Her Serene Highness Princess Charlene of Monaco in July 2016 cut the red velvet ribbon and sent a Primat bottle of Veuve Clicquot champagne smashing against the Seven Seas Explorers hull, the cruise guests certainly were in for a special treat. Seven Seas Explorer is not only the world’s most luxurious ship – she sets a new benchmark for luxury vacations and lays the foundation from which Regent Seven Seas Cruises will continue to build. 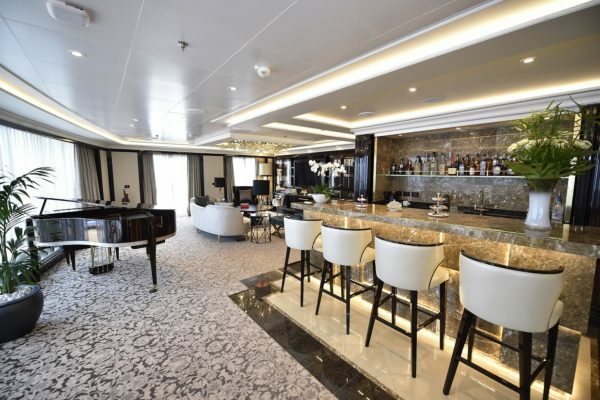 Although it was Regent Seven Seas Cruises who chose Danish Wilton as a supplier of carpets to Seven Seas Explorer, the outcome would have been the same if the architect had made the decision. The goal was to create a classical touch with a modern TWIST, and when the quality should be top notch, it was hard to ignore TWIST from Danish Wilton. “We felt that the TWIST quality gives something extra – a special softness – and adds a nice halftone and shine to each colour, almost like a silk effect. And we absolutely achieved what we wanted with the beautiful designs in this carpet quality” – Michal Jackiewicz – M. Arch., Owner/Executive Project Director of TILLBERG DESIGN of SWEDEN. Carpets are responsible for 30-40% of the entire design In the process of creating the interior design for Seven Seas Explorer TILLBERG DESIGN of SWEDEN – the world’s leading company within marine architecture and interior design – added some theming and storytelling to each area as background for each design. “The carpet is a base for each design, and we feel that the carpet is responsible for 30-40% of the entire design approach. We had a very well established communication and exchange of information with Dansk Wilton, and also in this case everything went very well at all stages of the design process”, says Michal Jackiewicz. TWIST is a brilliant carpet innovation opening up new design possibilities. The combination of hard twisted yarn and normal velvet yarn creates an exciting surface and expression offering a luxurious and unique carpet solution. The extraordinary surface makes TWIST carpets perfect for stylish suites. 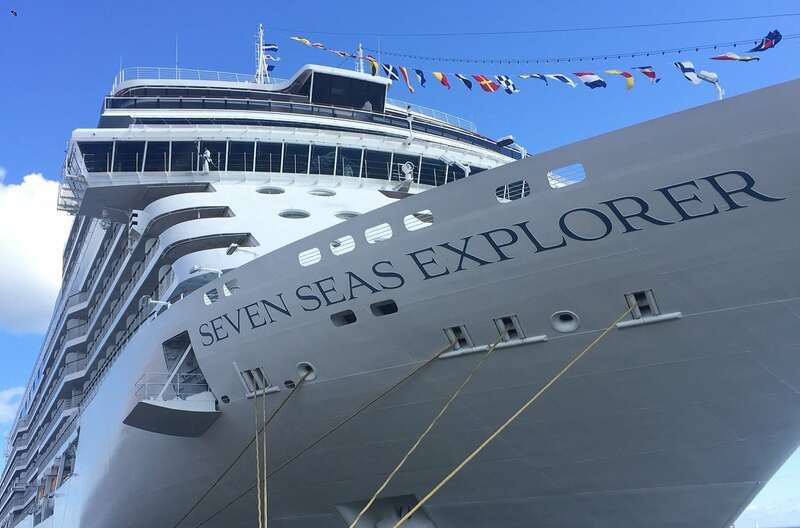 We were lucky enough to visit Regent Seven Seas Explorer as the ship called our capital Copenhagen. 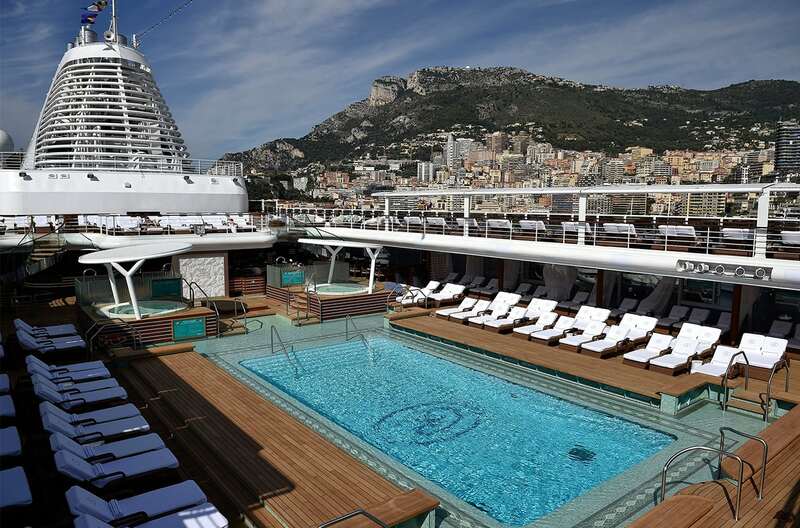 Amazing to be on board the world’s most luxurious cruise ship, an absolute masterpiece. Watch the video from our visit here. Dansk Wilton delivered TWIST carpets in nine different designs for 326 suites. DW Contract TWIST 1300 g/m2 with integrated felt backing. Visit Seven Seas Explorer® website here.